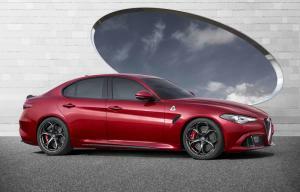 Alfa Romeo has officially unveiled its new Giulia. 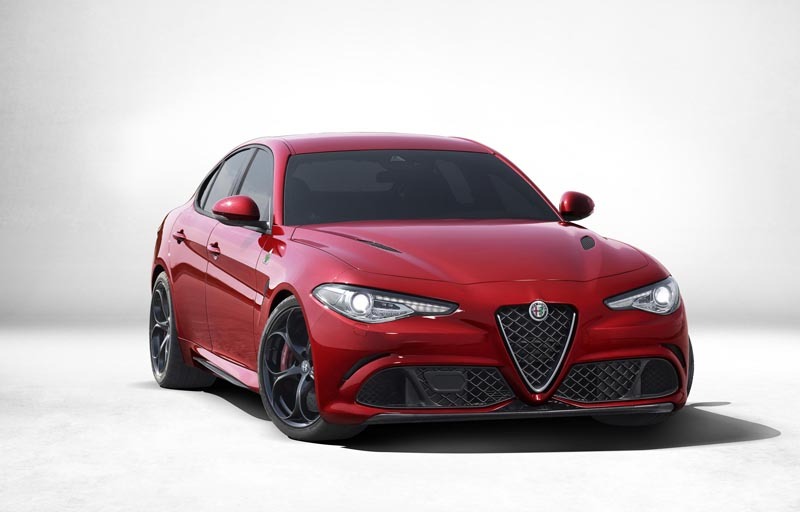 At the same time, the company revealed that it would be powered – among other options – by a 510hp six-cylinder turbocharged Ferrari engine. The company describes the car as the result of a ‘skunkworks’ project by designers, engineers and stylists within the Fiat Chrysler organisation. The result is a car that sits on a new rear-wheel drive platform – although four-wheel drive versions will also be available – with the major masses arranged between the wheels to create a 50/50 weight distribution. The range-topping engine will be a new Ferrari-derived turbocharged V6 petrol unit producing 510hp, enough to complete the 0-62mph sprint in just 3.9 seconds. Its light-weight aluminium construction and use of cylinder-on-demand technology is said to help it achieve increased efficiency and reduced emissions. 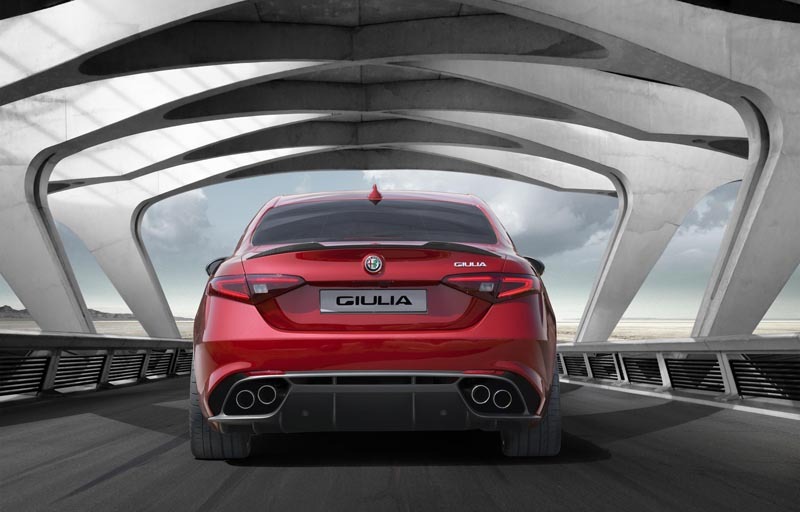 Weight-saving continues elsewhere on the Giulia, with a carbon-fibre prop-shaft, bonnet, roof and seat frames, with aluminium used for the wings, doors and suspension components. 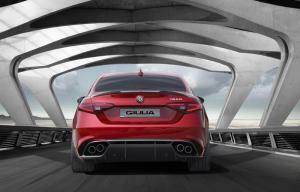 A new dual-clutch torque vectoring system allows the rear differential to control the torque sent to each wheel independently, while a new Integrated Brake System combines the functions of a conventional brake servo and stability control system to provide increased braking response and performance. Discs are carbon ceramic. The suspension uses a double wishbone set-up at the front and ‘Alfalink’ system at the rear, both with electronically-controlled adaptive dampers, while a new semi-virtual steering axis helps keep caster constant during cornering. 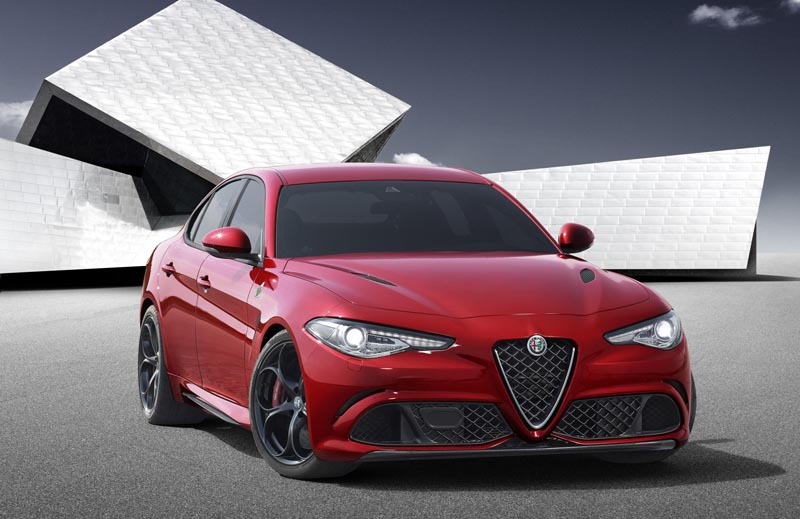 The Giulia also employs an active front splitter and an updated version of Alfa’s DNA system to provide a series of driving modes: Dynamic, Natural, Advanced Efficient, and Racing. 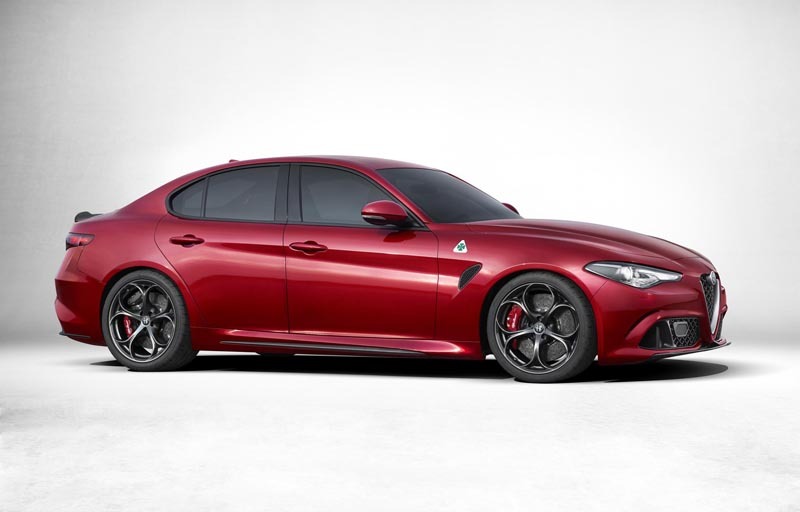 Alfa hasn’t released photos of the Giulia’s interior, but the company describes it as ‘fuss-free’ and ‘driver-focused’. The steering wheel is home to a series of controls – similar to a Formula 1 car – while material choices include carbon-fibre and real wood. The new Alfa Giulia is expected to go on sale early next year.